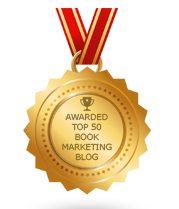 BookMarketingBuzzBlog: How Are Smart Book Marketing Decisions Made? Many people talk about making good choices and wise decisions, whether it's in one’s personal life or professional one. Many books are written about singular political decisions or how business leaders go about making tough choices. But does anyone really chat about how to make savvy book marketing decisions? If you believe book marketing is an important and necessary component for authors to succeed – by any measure – book sales, branding, sharing an empowering message – then you would agree, authors, publishers, and promoters need an effective process or system by which to make their decisions. So how does one go about choosing what to spend time, resources, brain power, and energy on? First, in order to make any decisions, you must set goals. Know what you want to achieve and then identify the types of decisions you’ll need to make. Second, set priorities. Not all decisions lead to equal results or ramifications. Identify what’s most important to you and allow your decisions to be guided by this list. Third, be informed and research all issues thoroughly. You can’t make a good choice unless you have complete, current and relevant information. Fourth, consult with others you respect, admire or who have related experiences to what you are weighing a decision on. Fifth, choose to act not out of desperation or fear but of conviction, courage, and faith. Believe in yourself, but don’t overstate your value either. Sixth, where possible, test your choices or experiment in a way where you take only a small risk to see if something that you want to do will actually work. Seventh, be realistic but stay optimistic. Good decisions come when you blend cold facts with reasonable possibilities. Decisions can’t be made based on dreams, but it is fine to follow your passion provided you work hard and smart every step of the way of your pursuits. Eighth, look for models or past evidence of success from others who confronted the same predicaments you find yourself in. Ninth, assess your resources. How much money, time and how many connections do you have that can help you support your final decision? Lastly, find a way to measure and evaluate your marketing decisions – and learn from them. Many book marketing decisions are made where one or more of these steps is ignored or missed. We can be ignorant, impulsive, or egotistical to the point it blinds us from making good choices. Sometimes we are too conservative and slowed down by a desire to not get something wrong, leaving us stifled and stalled. Other times we make decisions with incomplete information, acting under a misunderstanding of the facts, or an unwillingness to seek out help. Book marketing decisions usually involve things that we fall short of (money), misallocate (time), or fail to know or understand (information). Too many people operate under myths, prejudices, or lies – and it destroys their ability to properly market a brand and promote a book. Your book marketing should be done without regrets or pestering concerns that you’re not doing all that you should be doing. Take this beast by the horns and conquer the book marketing monster by building up the hero within yourself. Friends who can help are power. Silencing fears with action is power. You can make great book marketing decisions once you permit yourself to fail. Instead of fighting failure only focus on one thing: success. Do what it takes to succeed and ignore any failures along the way.